metal. 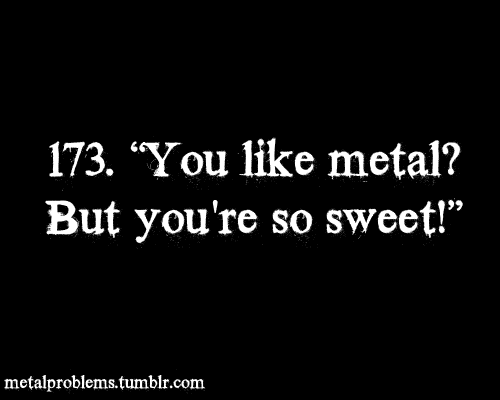 Du have no idea how many people have actually sagte this to me lol.. Wallpaper and background images in the Heavy Metal club tagged: heavy metal sweet. Du have no idea how many people have actually sagte this to me lol. Haha, I get that a lot actually.